Product prices and availability are accurate as of 2019-04-21 05:26:06 UTC and are subject to change. Any price and availability information displayed on http://www.amazon.com/ at the time of purchase will apply to the purchase of this product. 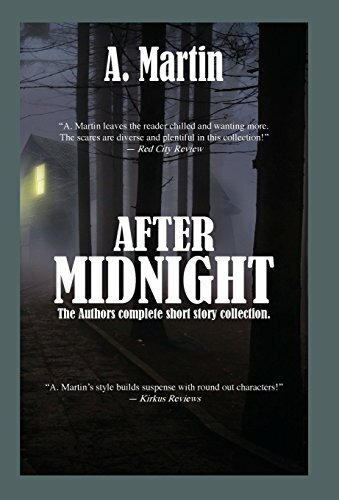 Author Bookstand is proud to offer After Midnight by Bookstand Publishing. Bookstand Publishing offers books by the best indie authors throughout North America and the world. Bookstand Publishing is dedicated to offering original content to a broad audience and promoting great authors, literacy, and freedom of expression. 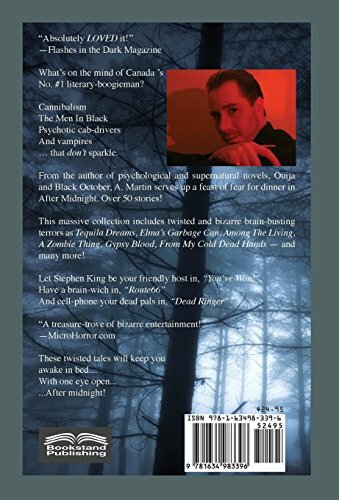 After Midnight has generated a lot of interest and excitement and we think it would be an excellent addition to your library. What's on the mind of Canada's No. #1 literary-boogieman? Cannibalism. The Men In Black. Psychotic cab-drivers. And vampires...that DON'T sparkle. From the author of psychological and supernatural novels, Ouija and Black October, A. Martin serves up a feast of fear for dinner in After Midnight. Over 50 stories! This massive collection includes twisted and bizarre brain-busting terrors as "Tequila Dreams," "Elma's Garbage Can," "Among The Living," "A Zombie Thing," "Gypsy Blood," "From My Cold Dead Hands" -- and many more! Let Stephen King be your friendly host in, "You've Won!" Have a brain-wich in, "Route66." And cell-phone your dead pals in, "Dead Ringer." These twisted tales will keep you awake in bed...With one eye open...After midnight!